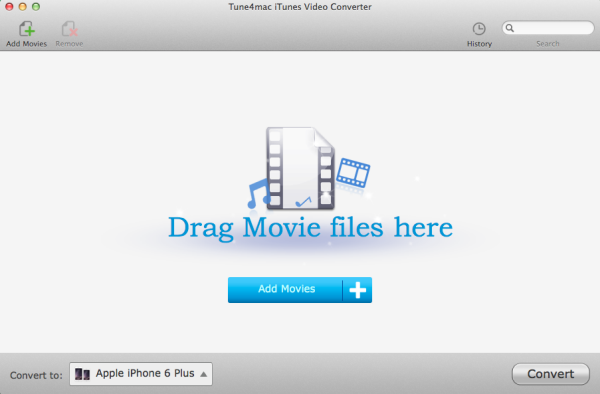 Tune4Mac iTunes Video Converter is designed to help you convert iTunes purchased or rental M4V videos with DRM protections to plain MOV, MP4 formats on Mac OS X 10.4, 10.5, 10.6 Snowleopard. M4V videos you get from Apple iTunes are DRM protected, and limited to play on 5 Apple devices only. You may feel unfair if you can not play the M4V files on your other portable devices, PSP, Zune, MP4 Players etc. So if you need watch these M4V videos on other devices freely, you are recommended to use the Tune4mac iTunes Video Converter for Mac to finish this. Tune4mac iTunes Video Converter is a powerful M4V video converter tool. It records m4v video you purchased or rental to QuickTime MOV, iPod, iPhone MP4 format in high speed and great quality. With just a few mouse clicks, you can convert DRM M4V to unprotected MOV or MP4 format, then backup the M4V files on your Mac or play the M4V files on your iPod, iPhone, PSP etc. with DRM free easily. This site does not contain serial number, crack, keygen Tune4Mac iTunes Video Converter serial number : serial number is the simplest type of crack. A serial number(cdkey,product key,etc) is register the program as you may already know. a crack or keygen may contain harmful software. If you cannot find the exact version you want, just give it a try. for more information read .nfo/.txt/.diz file include in zipped file.